The SMOK X-Priv Kit is a perfect combination of power and aesthetics. The device comes with a 2-inch high-definition screen and 220W max power output. The SMOK X-Priv Kit is a perfect combination of power and aesthetics. The device comes with a 2-inch high-definition screen and 220W max power output. The OLED screen features a newly designed user interface. It is more simple and intuitive. 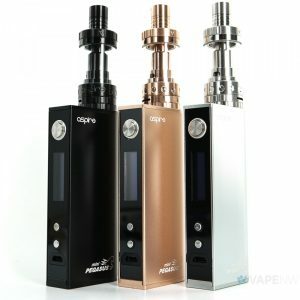 The X-Priv Kit gets power from dual high-amp 18650 batteries and a offers a wide range of output adjustments. The TFV12 Prince tank which comes with the kit uses powerful V12 Prince cores. 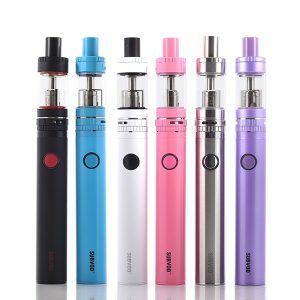 Thus you can get massive vapor production. 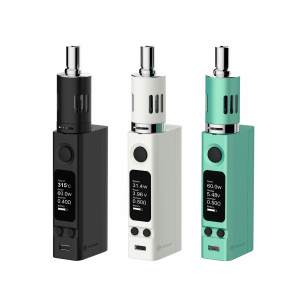 As for capacity, measuring 28mm in diameter, the tank contains 8ml of e-juice. A cobra drip tip brings an increased airflow as well as wild outlook and special tactility. Being a beautiful display-focused structure device, the X-Priv Vape Kit looks luxurious and alluring. The glassy material makes the kit stand out from other devices. Besides, the kit boasts an ergonomic design thanks to soft outlines. Various color finishes are available for your choice. 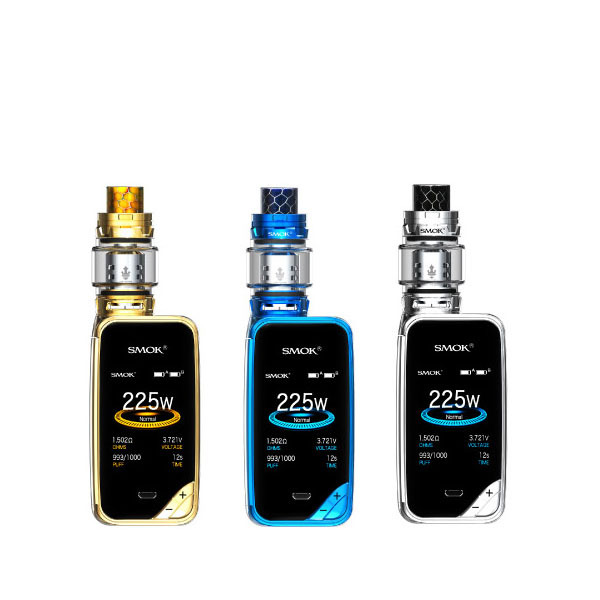 In sum, an outstanding glassy material and great power capabilities make the SMOK X-Priv Kit a perfect option to try. 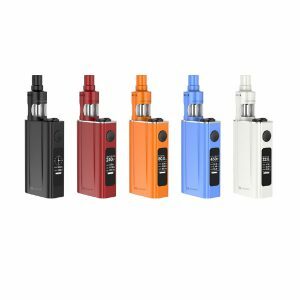 If you’re looking for a smaller version, check X-Priv Baby kit.